Check the USSSA rulebook -- these rules apply in addition to the following for all leagues. ** denotes a new rule. **In Co-Ed Rec leagues: Game time is 55 minutes with an 8 run max per inning until the 4th inning, at which point it becomes unlimited runs. **A female player running to 1st base cannot be thrown out by a male outfielder on the initial play. **ABSOLUTELY no alcoholic beverages will be allowed on the field. 8 runs at the end of 6 innings. 55 minutes after the conclusion of the pre-game conference. Note: If the game is tied after 55 minutes, the game will continue until a winner is declared. A 10 minute grace period will be in effect for the first game in each set if a team does not have at least 8 players (4 & 4 in COED). The 10 minutes will not be deducted from the 55 minutes. In an effort to ensure parity in all leagues, particularly the Recreational Leagues, TASA reserves the right to prohibit players and/or teams, whose caliber of play exceeds the common level of play in a particular league, from participating in that league, REGARDLESS OF TECHNICAL CLASSIFICATION. This includes non-tournament players. For safety reasons, any player in question will be assessed on a case by case basis by members of the TASA Board. Failure to comply after a Board decision has been rendered may result in forfeiture of game before, during or after completion of said game, or the team being removed from the league. Leagues are offered for all levels of play at Carl Smith, including open Leagues for more accomplished players. Players are encouraged to participate in their appropriate league. Abuse of this rule may lead to suspension from play at Carl Smith Sports Complex for up to 1 year. The extra player (EP) rule for men and women may extend to 2 extra players instead of one for league games only. An EP may only be used if they are present at start of the game. At all times a team must have at least 8 eligible players to start and finish a game (even if player(s) are ejected). Coed minimum of 4 men, 4 women. Teams will play with "no automatic out" with the exception below. If the EP is used in Coed, one EP must be a man, the other a woman. If one EP leaves the game the other EP must leave also. Coed may play 5 men, 5 women, or 5 men 4 women, or 4 men 5 women. If they play with 9 players, the #10 position will be an automatic out. Late arriving player's names will be inserted at bottom of lineup (up to 10). There is NO automatic out in Men's League as long as a team has a minimum of 8 players, even if they have more than 8 at any point in the game with the exception of an ejection. In that case the autuomatic out will be used if a substitute is not available. Less than 8 players to start in any league is a forfeit. Only one courtesy runner will be allowed per inning. This runner may be anyone in the line-up of the same gender. There will be no "bat flips" when batting. If a player flips a bat in a manner that any part of the bat goes over his/her head and the action can be interpreted as "unsportsmanlike conduct", the action will result in the player being ejected from the game and be an automatic out in the lineup, if no substitute is available. A verbal warning is included at the pre-game meeting. It is the coach's responsibility to inform his/her players. If a man walks he is awarded 2 bases, the woman will have the option to bat or take the walk to first base. NO WOMEN WILL BE ALLOWED TO PITCH IN ANY CO-ED LEAGUE PLAY. No MALE tournament players are allowed in REC leagues. Team B has 4 REC women + 1 C woman player = 3 pts. All COED players are classified according to their USSSA COED classification. It is the coach's responsibility to know their players classification. Check the Co-Ed League Page for E and E2 classification requirements. Note: In case of rain, a completed game will constitute 3½ innings if the home team is ahead. If the game cannot be completed due to rain, the umpire fee will be returned to the manager and the game will be rescheduled from the start. Late Umpire: Once the pre-game conference is started, each of the teams will pay one umpire $12.00. If the late umpire arrives, he/she will not be paid by the teams for that game. "TASA league roster release" form MUST be signed by all players before his/her first game. Coaches are responsible for turning the rosters in to the Carl Smith TASA Office before the start of their first game. Teams need to use the add/drop form to add or drop players and turn it into the TASA office before the players' first game. This roster is for league only. Rosters must be signed by players for each team they play for. A player may only play for one team per league night. For Church League Only: All players must be regular attenders of the Church they play for. Church rosters must be signed by pastors. It is the responsibility of the manager/coach to make sure all players sign the league roster release form and that each player is eligible to compete with his/her team as per USSSA and TASA rules. 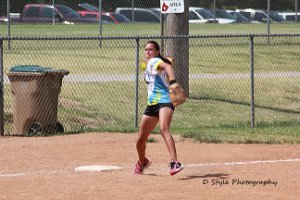 Softballs: All leagues will play each league game with a specified USSSA softball. Balls must be purchased through TASA and have the association official stamp (TASA). Each manager will present to the Umpire TASA/Carl Smith stamped approved softballs as specified above. Each Co-Ed Team will provide one 12" and one 11" softball. Umpire fee will be paid during the pre-game conference. 1USSSA marks and other graphics of the bat must be applied permanently and must be applied by the USSSA licensed manufacturer. No stickers or decals are allowed and no one may add graphics to a bat once manufactured. Use of a bat with graphics not applied by the manufacturer will be use of an altered bat and subject to suspension under the USSSA Altered Bat rules. In addition to being violation of the USSSA Altered Bat rules, any use, creation or application of a USSSA mark without written permission of USSSA is a violation of Federal Trademark law and may result in prosecution by USSSA. If you have any concern about the person selling or providing you a bat, do not accept the bat, because you will be held responsible for any bat you bring into or use in a USSSA facility. Refer to your schedule for home run allotment in your respective league. Any homerun after the limit set for the league, division and exceptions will result in an out. ALL Leagues -- The home team cannot go 1 up after time has expired or in the 7th inning. The visiting team must have a chance to equalize. 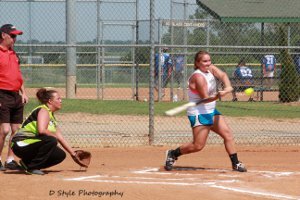 For tournament play refer to Official USSSA Slow Pitch Rulebook and National By-Laws 2018. The home plate umpire must be verbally notified by the manager/coach that the game is being played under protest any time before the end of the game in question. A written protest must then be submitted according to the USSSA rule book with a $25.00 fee within 24 hours after the conclusion of the game in question to the league director. A hearing will be conducted within 48 hours after the league director receives the protest. If the outcome of the hearing is in favor of the protesting team, then the fee is refunded. Only a TASA or USSSA Representative can remove a bat that is suspected of not meeting the USSSA bat regulations. Players/Coaches cannot protest a bat, you must contact an approved Representative with your concerns. If a player refuses to relinquish a bat to authorized personnel this will result in an automatic two-year suspension from USSSA with no right to appeal. Visit the USSSA Website for complete rules and procedures. If any defensive player is hit by a batted ball and deemed defenseless by the umpire, that bat will be pulled and tested by the park attendant. TASA will not tolerate any misconduct from players, coaches, spectators, or umpires. Anyone ejected from a game must leave park premises and go to the parking lot immediately. Refusal to leave immediately will result in forfeit for that player's team. The player will be ejected from any other games for the rest of the day. The umpire must submit the incident in writing within 48 hours to the league director. If a player receives notice of suspension, whether it be by letter or in person, that player has the right to appeal the suspension if he/she feels he has been unjustly suspended. The league director will conduct a hearing which will include the league director and at least two additional Board members. If that suspended player continues to play after being notified, an automatic additional one-year suspension may be applied. Home team will be official scorekeeper. If neither team keeps an official scorebook, then the umpire is the official scorekeeper. Teams will pay all forfeit fees for games missed. Three consecutive forfeits will result in removal from the league with no refund. If a team forfeits a game they must pay the umpires. If a team is a NO SHOW they must pay forfeit fees to the league director prior to next game. The team that shows up to play the forfeited game must pay umpire fees before receiving the win for the game. Grace period until the first night of play. If not paid by the second night of play, a late fee of $10 will be applied. If not paid by the third night of play, that week's games will be forfeited. If not paid by the fourth night of play, the team will be removed from the schedule, full team roster suspension, and referral to TASA treasurer for collection. Rainout information will be announced no later than 90 minutes before scheduled game time. Rained out games will be added to the end of respective league schedules. In case of multiple rainouts teams should be prepared to play any day of the week as long as 48-hour notice is given. The TASA rainout number for coaches and players is (918)748-3625. The fields will be cleaned of debris, clean restrooms, fields prepared, watered, and chalked before the first game of the set. Problems should be reported immediately to the park attendant on duty. Problems, complaints, or umpire not present should be reported and an umpire complaint form turned into the TASA office, or mailed as per instructions on the form. Umpire complaint/comment forms are kept in the TASA Office. Mandatory protective face masks are required for ALL pitchers in ALL leagues. No steel cleats will be allowed in the leagues. All shoes must be enclosed per USSSA rules. All bats must be USSSA approved or can be removed from the game. A list of approved bats can be found at www.usssa.com. Players must be 16 years old to play in TASA leagues and have a waiver signed by parent/guardian and turned into TASA office. Women may not play in men's leagues. Men may not play in women's leagues. Seniors will follow SPA rules. The pitcher may pitch from the pitching rubber, or from an area the width of the pitching rubber and up to six (6) feet forward. Any taunting by a player concerning purposeful hitting back at the pitcher will result in an automatic ejection of that player. Any use of profanity will result in an automatic ejection of that player. A player throwing the bat will result in an automatic ejection of that player. TASA reserves the right to test bats at anytime. The start of the second set on Sundays will be delayed in the case of players being delayed by playing the 1st set of the day. These players must be on your roster and not pick up players. However, whenever possible, teams are asked to be prepared so that we get started on time. These rules are modified for league play only. 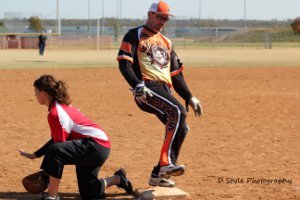 For official rules refer to Official USSSA Slow Pitch Rulebook and National By-Laws 2019. All TASA leagues must abide by the City Park Department Rules. Failure to do so could result in expulsion from the league. Absolutely no glass containers on park premises. Toys on wheels or rollers, i.e. skateboards, roller blades, roller skates, tricycles, or bicycles will not be allowed beyond the designated areas in the complex. No pets other than seeing-eye dogs, not even pets on leashes will be allowed in the complex. At Carl Smith Complex, no warming up on walkways is allowed. Use grassy areas between fields. Fences are not to be climbed. Do not throw or hit balls against fences or backstops. Facilities will be open ½ hour prior to scheduled game time. Do not try to gain access earlier. No smoking is allowed inside field — fenced area or dugout. No one shall perform maintenance without permission from Park Manager. This includes adding dirt or sand, removing dirt, or any modification to the playing surface. Parking of cars, buses, and motorcycles will be restricted to designated areas. Vehicles will not be allowed inside the complex. All posted signs must be obeyed. Managers and coaches will be responsible for the conduct of their players and team followers at all times. Beer and alcoholic beverages are prohibited in the parking lot as per city ordinance. "Pitch in" — use trash containers — Help keep your complex clean. No outside food or beverages may be brought into the complex. FAILURE TO COMPLY WITH CITY OR TASA RULES WILL LEAD TO REMOVAL FROM THE PARK AND PARKING LOT PREMISES, EXPULSION FROM THE LEAGUE OR ARREST.